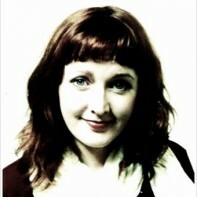 Ann Cronin from Ennis is running as an independent in the upcoming election. Upon realising the Clare ballot paper contained twelve men and no women, she decided to put herself forward to highlight the lack of balance. Ann worked in Dublin's first internet cafe. It is great to see woman going forward. Bound to do a better job. Correct me if I am wrong, but thinking she will be better just because she is a woman is fairly sexist, which is exactly what she is opposing. Think about it! but I won’t be voting for any of these female canditates. I’ll be giving Ann Cronin at least a second pref vote, like the way she presents herself, seems like a “real” person, maybe too real for politics. I like the cut of her jib. Is “Legislation to prevent a repeat of past mistakes” a general policy? Like, would it be made illegal for me to order the duck spring rolls from my local Chinese again, because last time they weren’t very nice?